If you’ve lived any length of time, chances are you could have funds hidden away somewhere that have long been forgotten. The Sun City Center Area Chamber of Commerce will host its Spring Trade Show from 9 a.m. to 1 p.m. April 12 at Community Hall, 1910 S. Pebble Beach Blvd., Sun City Center. This year’s event will feature the Florida “treasure hunters,” who will show visitors how to search for unclaimed cash and tangible property at no charge. Admission is free. There’s no statute of limitations on unclaimed money or property, so if it’s in the state’s possession, it’s yours to claim. 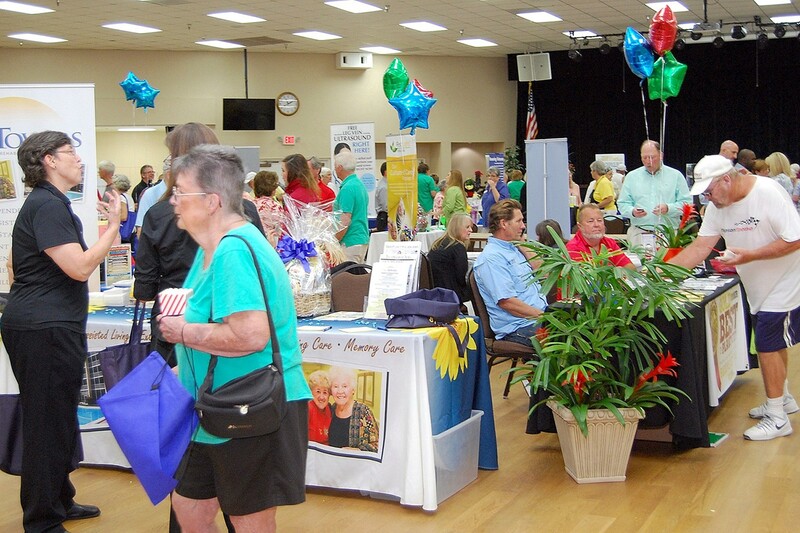 If you haven’t already done so, you can search for free at the Sun City Center Area Chamber of Commerce’s Spring Trade Show from 9 a.m. to 1 p.m. April 12 at Community Hall, 1910 S. Pebble Beach Blvd., Sun City Center. Regional Manager James W. Jacobs, of the Florida Department of Financial Services, and several other representatives will be setting up computers to help folks search on site. So when Conlan was planning the upcoming trade show, she thought folks would enjoy stopping by to see if they had “buried treasure” somewhere, while meeting chamber business owners and representatives from area nonprofit organizations. 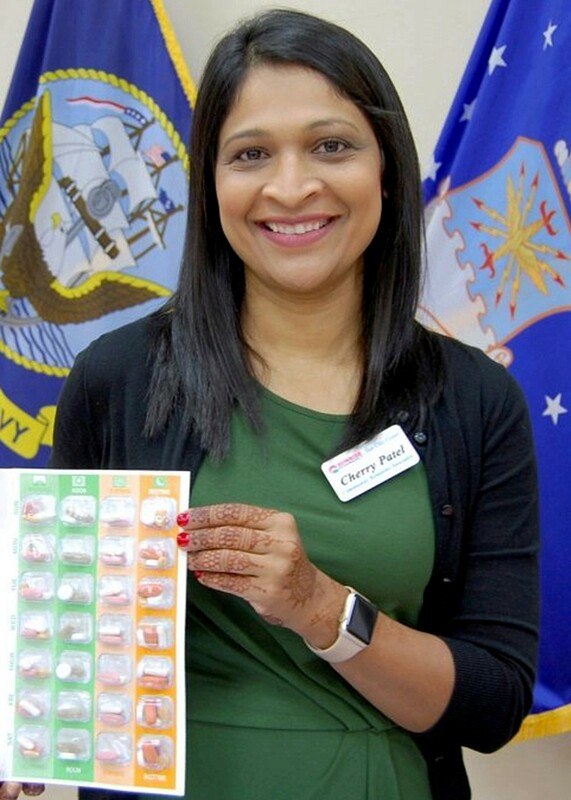 Cherry Patel, RN, co-owner of Sunrise Pharmacy, shows a sample of one of the convenient blister packs the pharmacy offers as a service to area residents for safe management of their medications at last year’s Spring Trade Show. She will be at this year’s event, as well. Up to 100 vendors will be on hand, including financial services, senior residences and senior service providers, health service providers, home services and more. Everyone will have lots of information and giveaways. Nonprofit groups like the Campaign Against Human Trafficking, The Pelican Players, Kiwanis Club of SouthShore and the SCC Emergency Squad are coming. Kiwanians will sell sloppy joes, hot dogs, chips, drinks and cookies. The squad will provide free blood pressure checks. As always, WSCQ Sun Radio 96.3 FM will broadcast live during the trade show, chatting with both vendors and visitors and giving away a nice gift basket through a drawing. The winner will be announced April 13 on the Morning Show with Peter and Bob. New this time, folks representing the Tampa Bay Rays will be on hand to let visitors know the latest on what’s going on with the club and its efforts to stay in the area. There is still time to reserve a space, Conlan said. The trade show is also an opportunity for residents to learn more about the businesses and nonprofit organizations that serve the community, she said. To participate in the trade show, or for more information, call 813-634-5111.